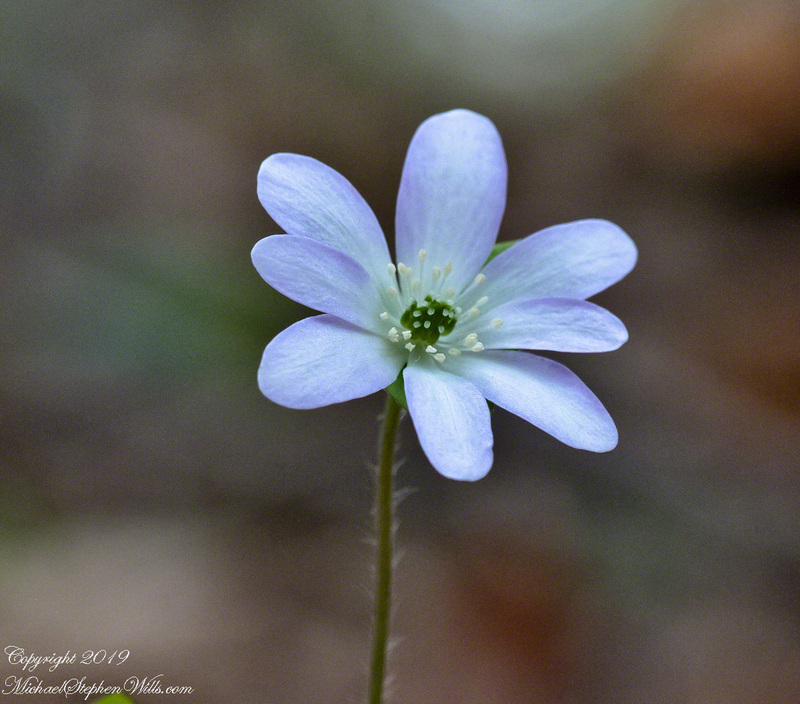 Most every year since 2002 I’ve photographed these personable beauties, the first wildflowers to bloom as early as late February through the snows. 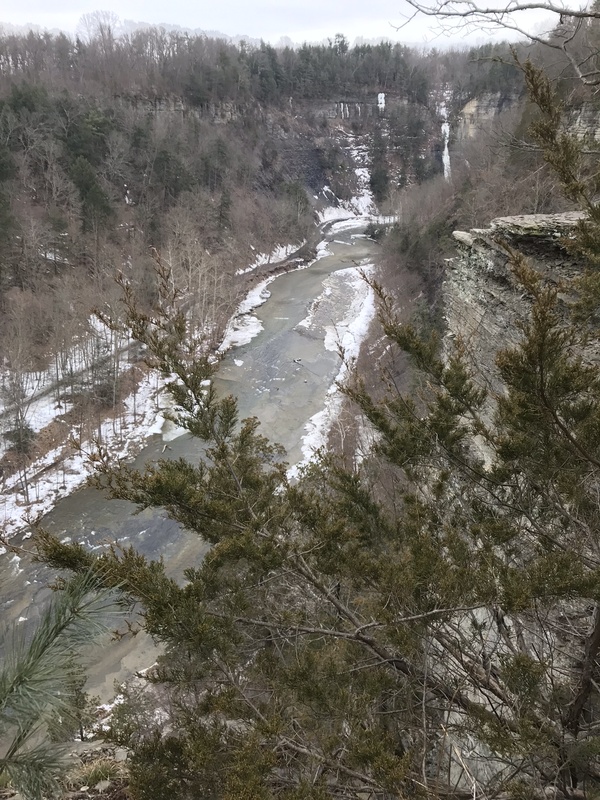 Wednesday afternoon this week my exercise was a 4 mile hike around the Taughannock Falls Gorge on the north and south rim trail. I parked at the Overlook and took in a view of Taughannock Falls in the gorge below. The video and pics are from my Apple IPhone. I then headed south on the North Rim Trail. 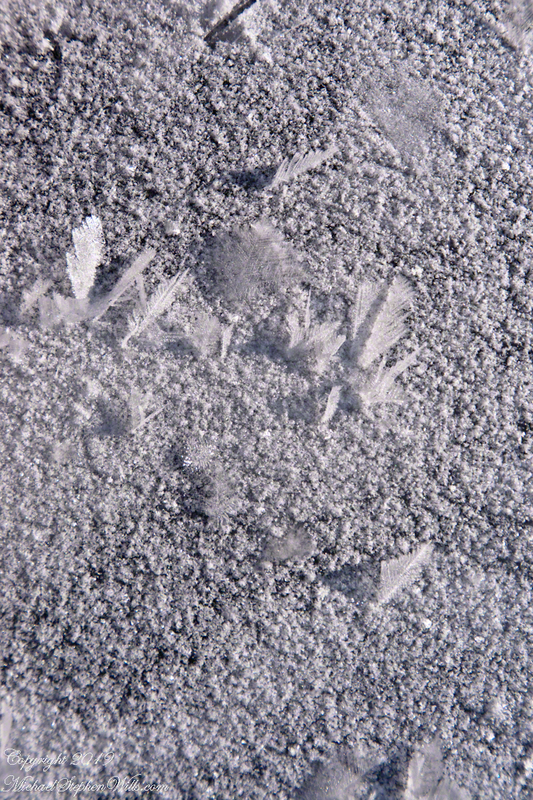 It was slow going because the trail was solid ice in many places. Throughout the walk was evidence of the great work of the park maintence crew preparing for spring. A bridge over the creek transitions from the North to South Rim trails. Here is an overview of the dramatic site below this bridge. The trail ice forced me off onto the Gorge Road that parallels the trail. 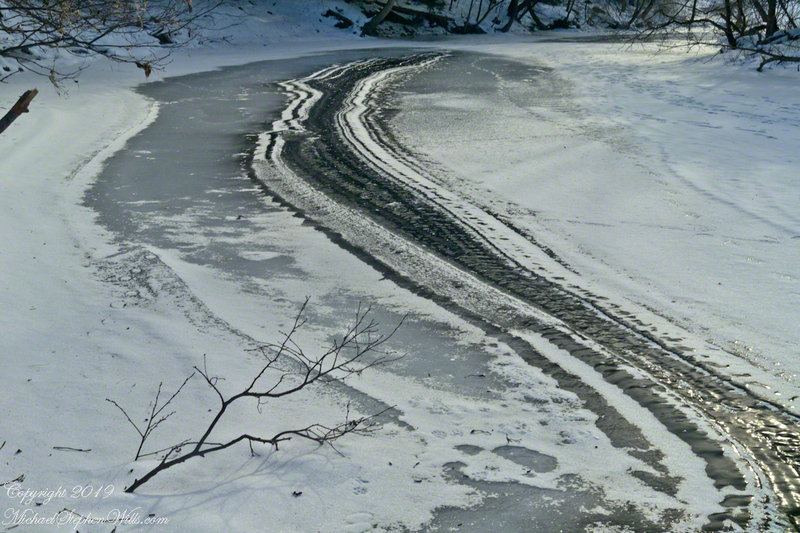 Even without the ice, a portion of the trail is closed for the winter due to dangerous conditions. There are interesting sites along this road. Walking downhill only this medium-sized bark is visible, the road curves around to bring into view a tiny farmhouse, now abondoned, dwarfed by the barn. 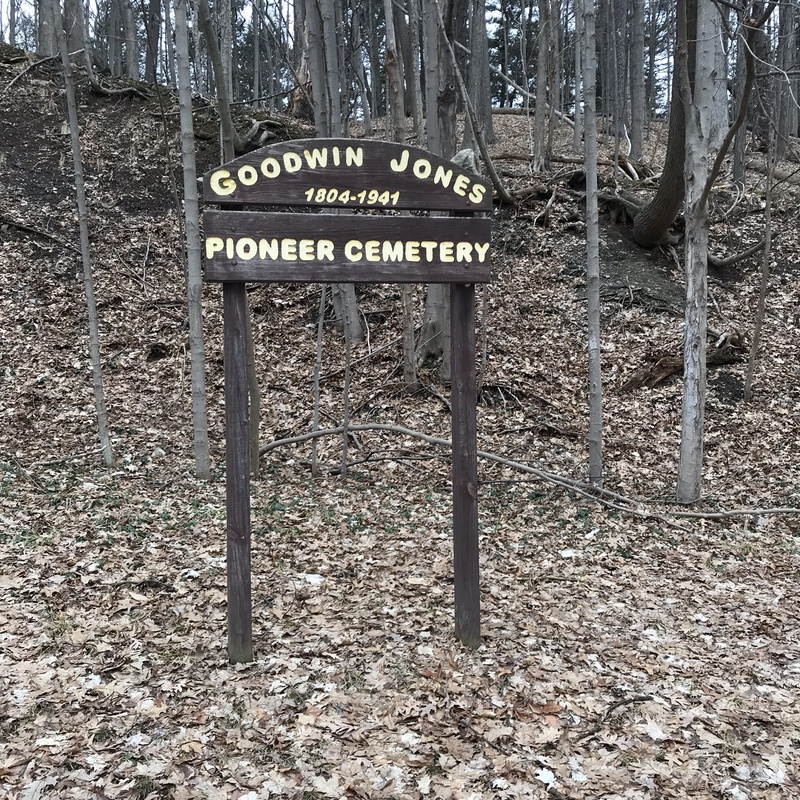 I took a detour to explore a small cemetery just off Gorge Road on a shelf above the Taughannock Farms Inn. The lower falls is another worthy detour before I rejoined the Rim trail to climb up the north side of the gorge. One of many Rim Trail overlooks. That is the Gorge Trail, below. In this approximate 4 miles there is a 2088 foot change in altitude (1044 up and down). I took my time for an enjoyable 2 hours. Click to visit my Finger Lakes Memories online gallery. 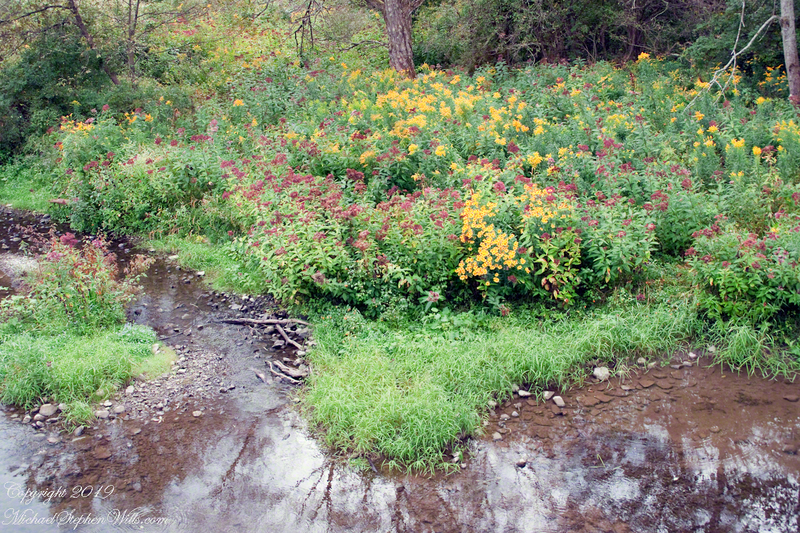 Gratitude for miracles witnessed is my emotion for this series, “Frozen Fall Creek.” Eleven winters after Pam and I walked Fall Creek as a solid walking path, the stream flows without ice most years. My son, whose family now lives in the house, and his wife recalling walking the creek a few years ago, not in the past few years. Weather records support our recollections and observations: here is an analysis of Ithaca January temperatures. 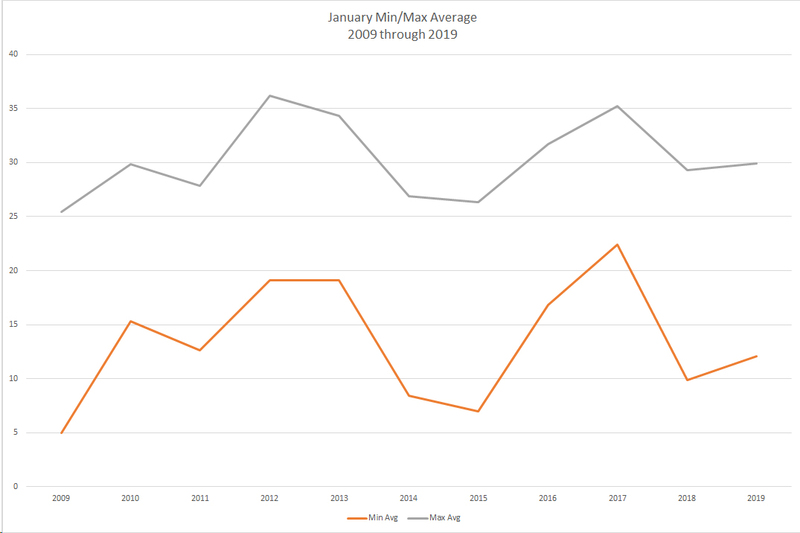 The years 2009 through 2019 show a warming trend in daily temperatures for both minimum and maximum. 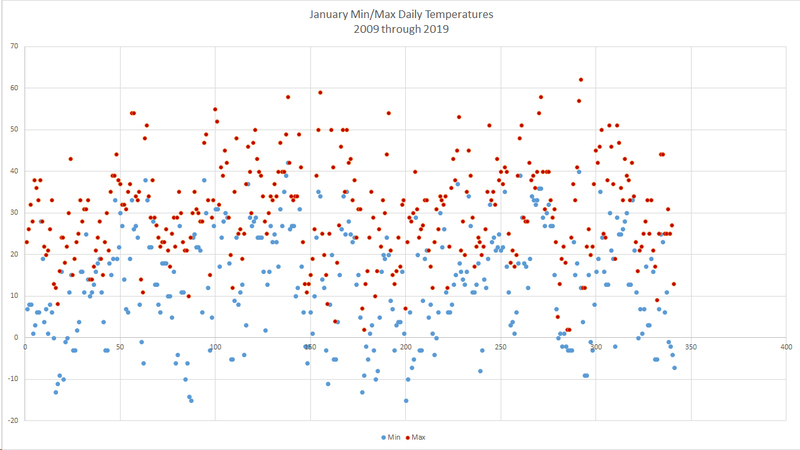 Excel I used to plot minimum and maximum temperatures (farenheit) for the 31 days of each January for eleven years 2009 – 2019. Click on the images of this post for a larger version. Click any image for a larger view. 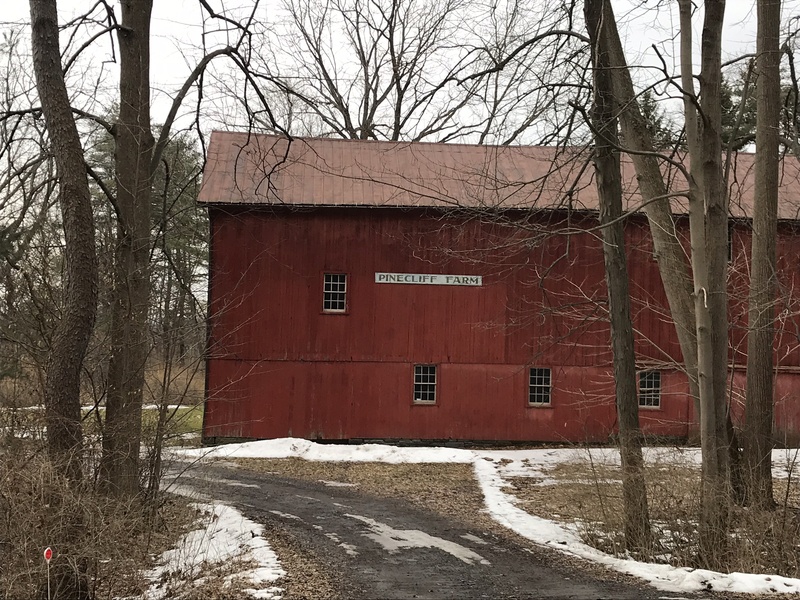 Pam and I moved to Ithaca 2011 and missed our Fall Creek winter walks, miss them even more now our weekend excursions are only memories. 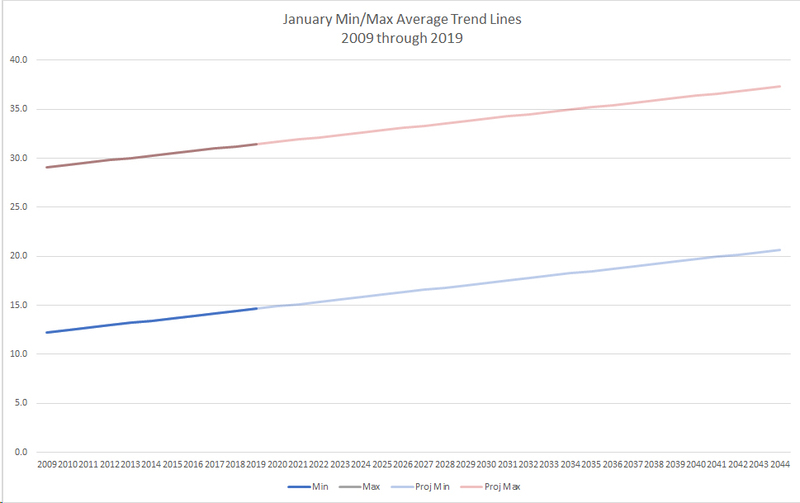 Here are January minimum/maximum average daily temperature projections from 2020 through 2044 based on the trend established from the 2009 through 2019 series. The trend is the solid color, projection the faded color. Reading from the chart, if the current trend continues by January 2044 the average maximum daily temperature will be 47 degrees compared to 29 for 2009. In other words, the temperature never rose above freezing in the year 2009. By 2044 temperatures will be above freezing every day, on average, with daily minimums averaging 21 degrees. From what I read, we can expect these warming trends to accerate within our lifetimes. My son named small mid-creek hummocks “islands” with numbers. Here is a view of his Second Island in late summer. What will Second Island be in 2044 late summer? 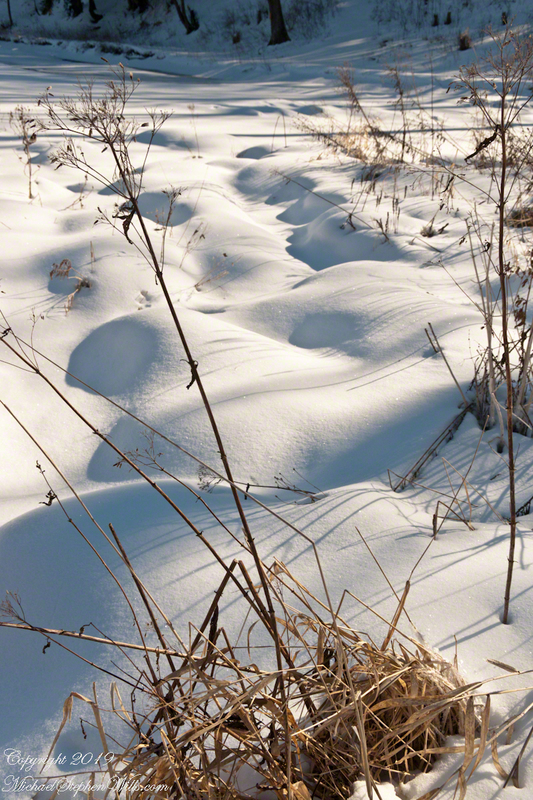 Reader of posts I and II of this series have commented about snow shadows. 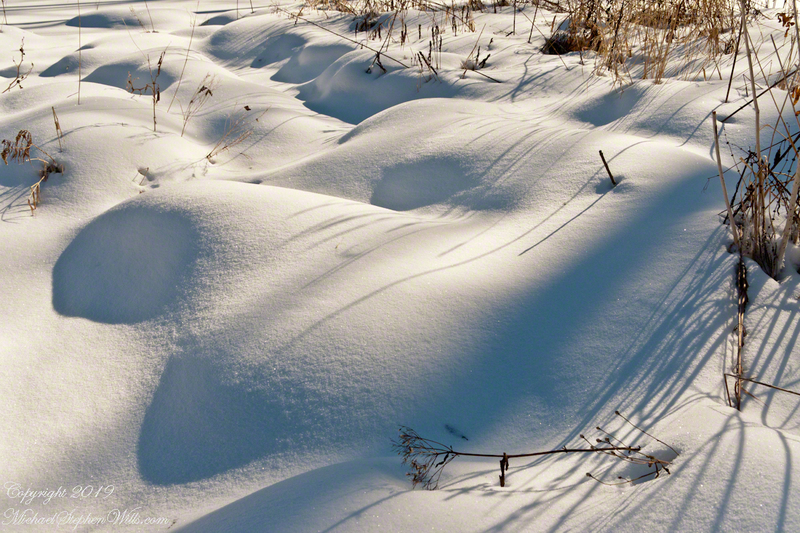 Here are the shadows produced from snow fallen on the vegetation of the last photograph: soft mounds to contrast with tree trunk shadows. I prefer the composition of the following photograph. What do you think? A combination of contrasting shadow forms. 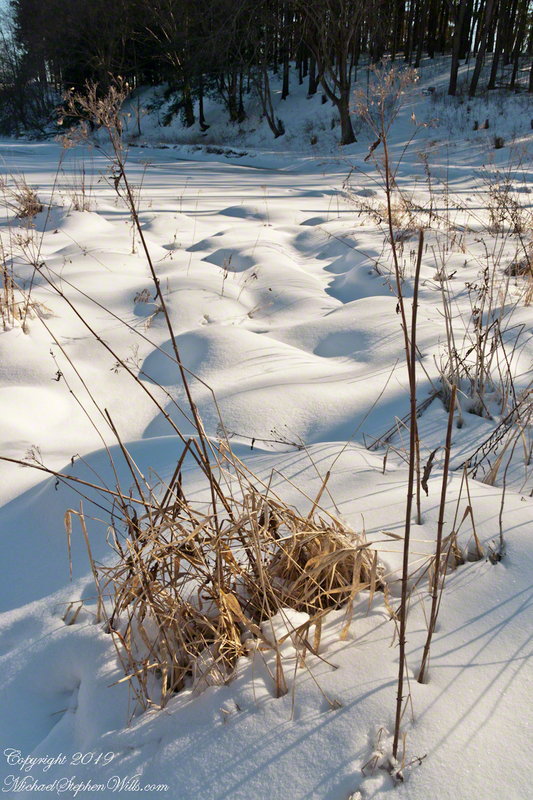 Click me for “Fall Creek Winter,” another stunning scene. 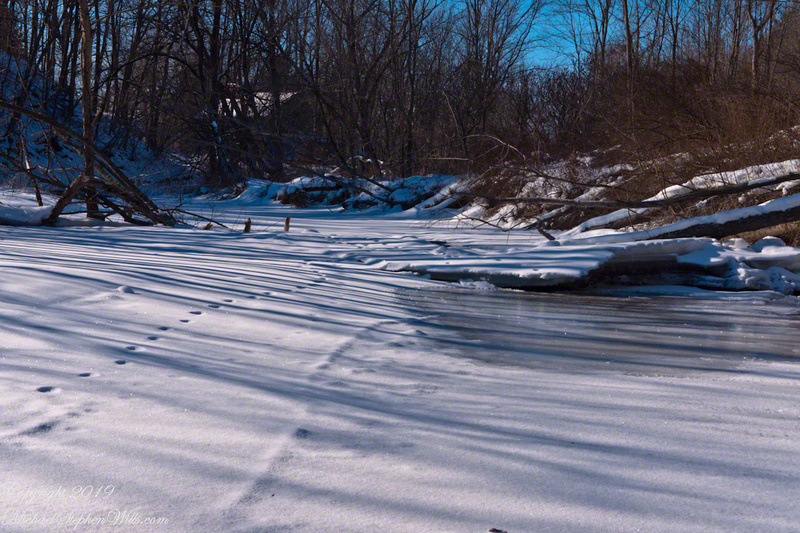 My last post, “Frozen Fall Creek I”, ended with macros of Ice Crystals on a bed of frost over creek ice within sight of our former home, a restored water mill. 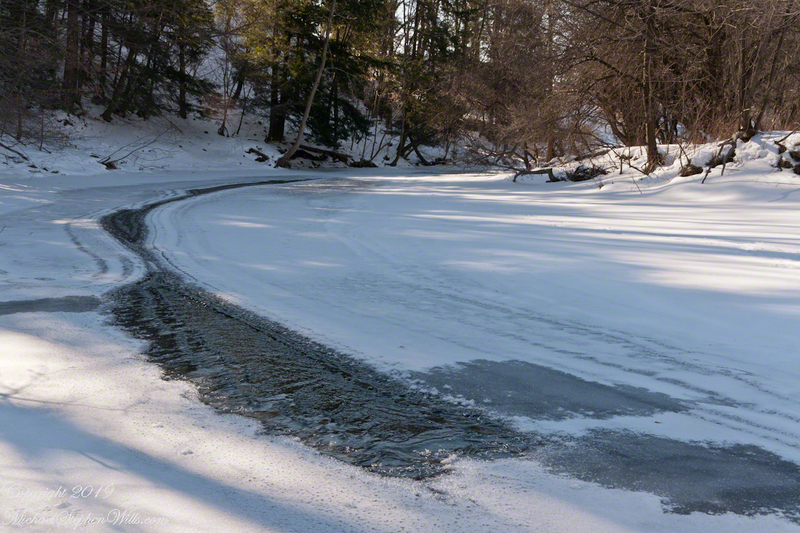 I continued on the ice, following the creek to this spot were the stream bed turns 90 degrees, changing from a southerly to a western flow. 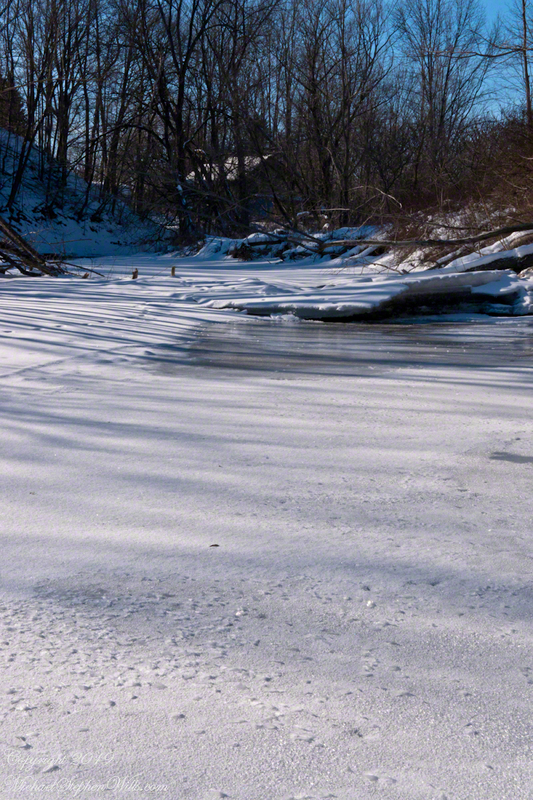 Here I encountered an open course where constant water motion resisted freezing. A few frigid days later, the course had an amazing transformation. 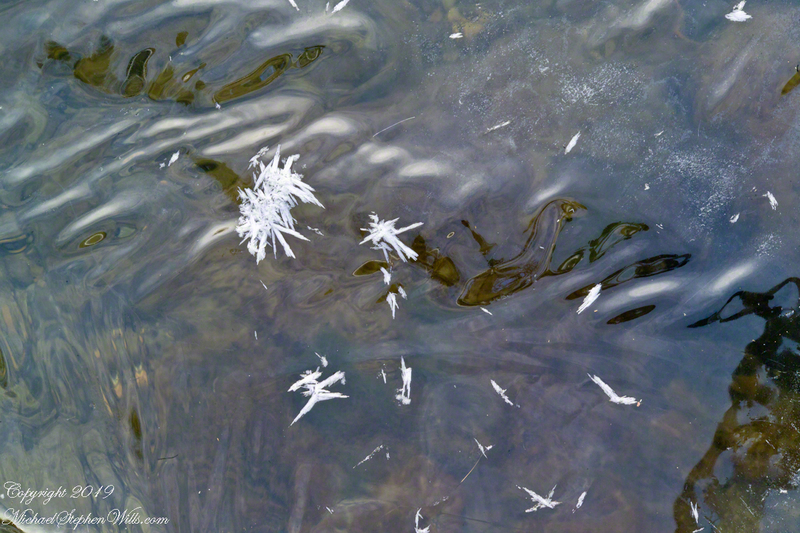 The transparent ice of the now frozen space retained the impression of movement, the surface rippled by current. 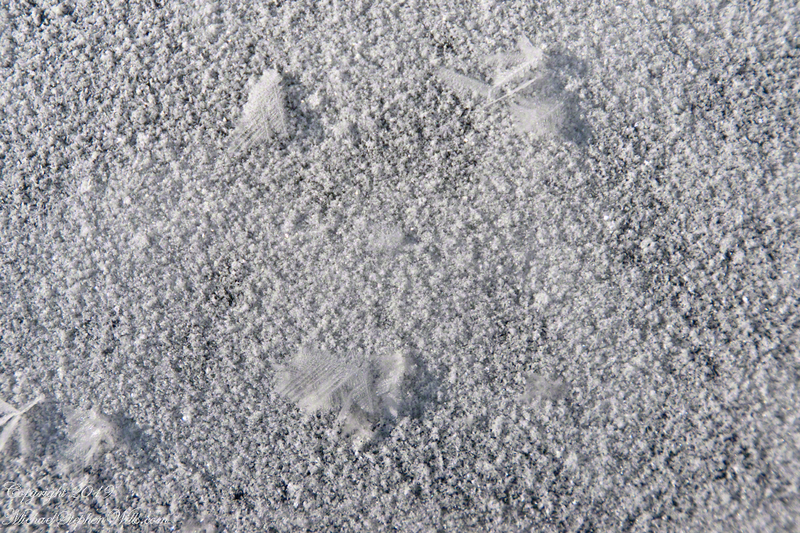 In the following photograph, motionless ice crystals reveal the truth. In the intervening days, the constant motion resisted freezing while the water temperature dropped well past freezing to achieve a supercooled state. 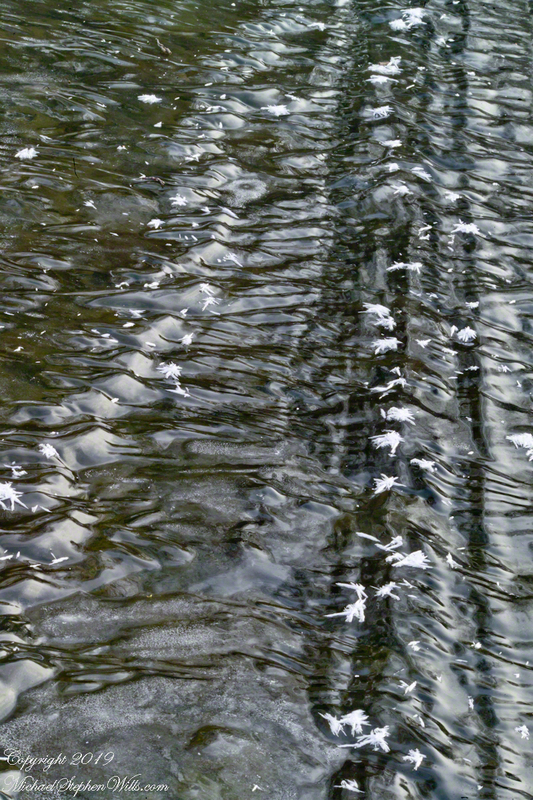 As the water temperature continued to drop, a fast transition from fluid to solid happened so quickly the movement of the water surface was preserved. Here is the matching “after” photograph to the “before” that started this post. Pam and I were drawn outside the day after Valentine’s a bit of sun, an unreliable warm breeze, a promise of exercise. Our expectations were disappointed for all but the last at the foot of the Taughannock Falls gorge trail. Click the photograph for my “Finger Lakes Memories” Online gallery. The winding gorge takes a general east, southeasterly direction. Where the sun cannot reach the snow was reduced to a treacherous slushy ice mix more nasty than dangerous. View from the Overlook on the way to the trail. This is the endpoint of our hike, viewed from the gorge rim. Of all the area hiking experiences, Taughannock Gorge Trail is the only one available year round. The gorge is wide with enough room for the footpath to avoid the cliff edge. Today, there were places were ice formations were throwing large ice chunks down the slope. The park ranges place tree trunks along the cliff base, with warning signs to stay away. Still, there are visitors who stray too close with fatal outcomes reported by local news. Pam was fascinated by the appearance of snow and ice accumulated on the talus, here seen from the Taughannock Falls viewing bridge. Click photograph for my “Finger Lakes Memories” online gallery. Photo by Pam. You can just pick out the viewing bridge in the Falls Overlook video. Click photograph for my “Finger Lakes Memories” Online Gallery. Taughannock Falls bound by ice is a most dramatic sight. 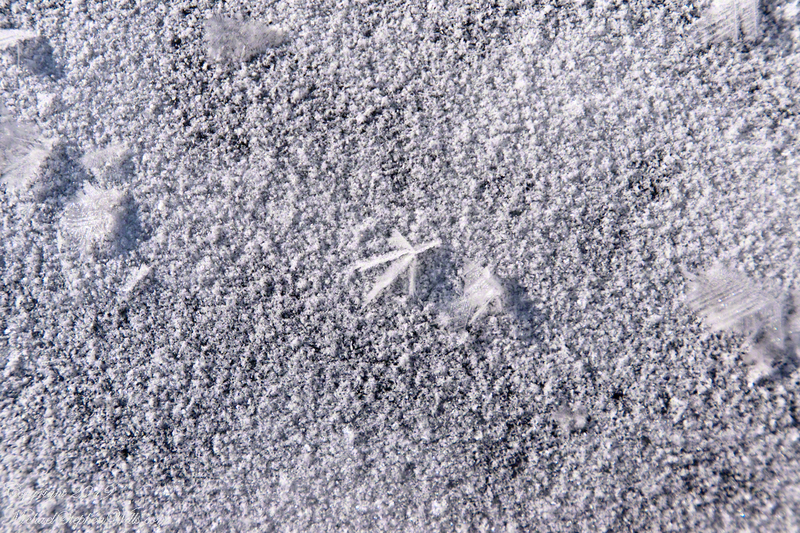 I need to post photographs from a 2005 visit during an especially frigid February. Here, the falls have thrown off the ice, leaving this house-size chunk. The surrounding gorge walls are continually frost coated by the mist. 210 foot Taughannock Falls from the viewing bridge. 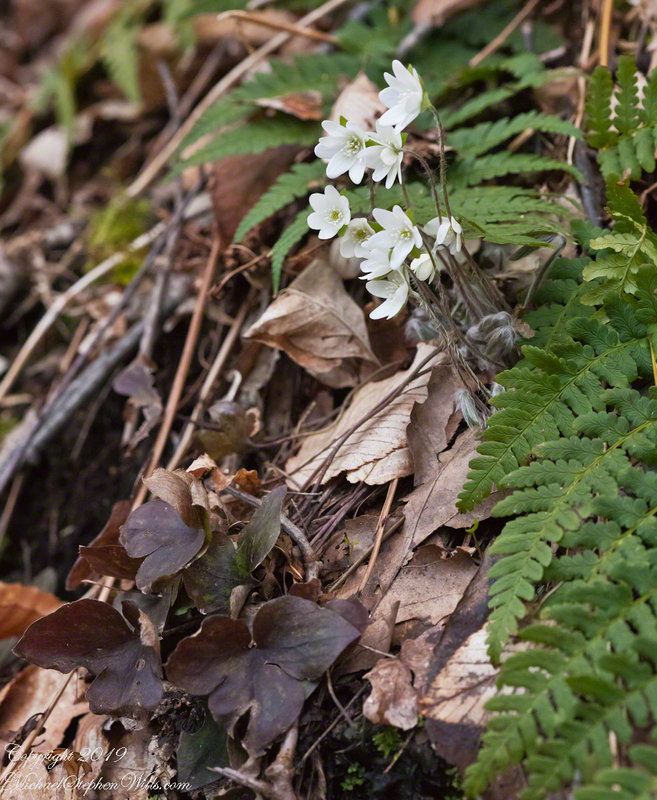 In more clement seasons the Gorge Trail ends much closer to the falls. Today, it was closed as, during winter and especially thaws, blocks of the sandstone cap break away to fall with great force across that part of the trail. This viewing area is visible in the Falls Overlook video. 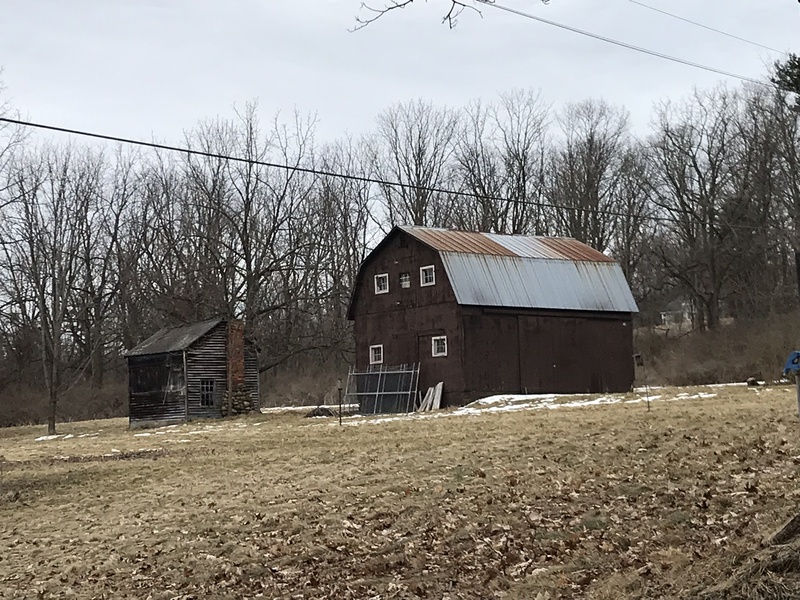 Click Me for another Finger Lakes winter post. Here I am, deep in a past February, in front of an Ithaca Falls frozen but for a small waterfall behind me.